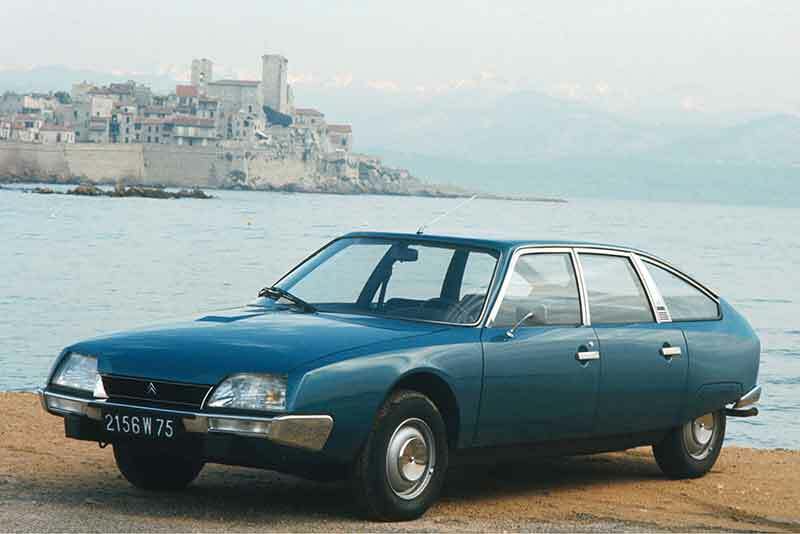 Citroën unveiled the CX 2000 for the first time at the Paris Motor Show in 1974. It was no easy feat replacing the beloved Citroen DS but the CX got off to a flying start, winning the 1975 ‘European Car of the Year’ award, ‘Safety Prize’ and ‘Award Auto Style’ all in its first year on sale. Designed by Robert Opron, the CX was a two-box saloon, measuring 4.63m in length. The cars name, CX, hinted the models low drag coefficient – Cx being French for the aerodynamic coefficient Cd. Launched into the turbulent years after the 1973 oil crisis, aerodynamics when fuel efficiency were becoming more important to car design and the CX with its aerodynamic shape and optional diesel engine (the first offered on a Citroen saloon) cut an aerodynamic and slippery shape through the concerns of the day. Inheriting the constant-height hydropneumatic suspension from the DS as well as the power-operated self-centring steering system seen on the SM in 1970, technology that quickly helped the CX to establish a reputation for comfort and fine handling. 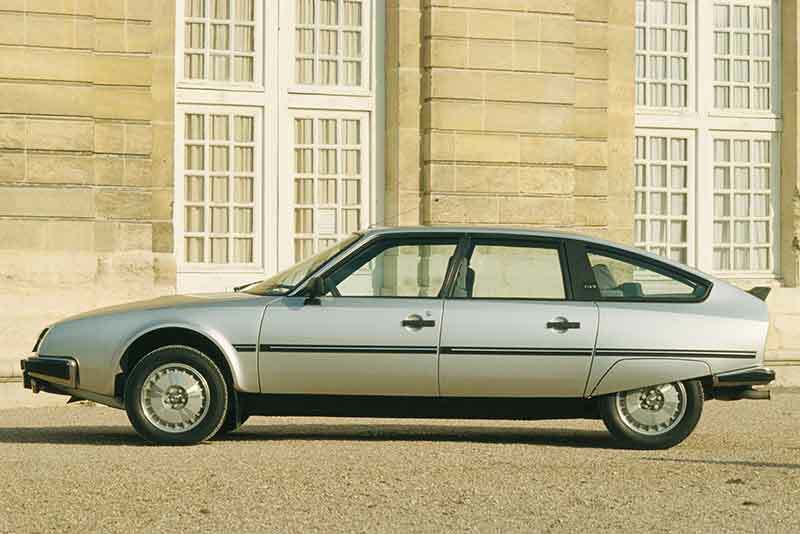 Later in the cars life, the Citroën CX was the first French car to be fitted with ABS brakes in 1985. Citroens designers didn’t run out of steam when they got to the interior. The CX’s, admittedly quirky, dashboard was just as forward-thinking as its aerodynamic exterior. Ergonomics were becoming more and more important in design and the CX’s futuristic driving position, enabled drivers to access all the controls without having to take their hands off the steering wheel. Over the next few years, Citroën expanded the CX range with an estate version (Familiale) in 1975, a 2400 GTi with electronic injection version in 1977 – considered the fastest French tourer at the time and a Prestige version in 1978, 28cm longer than the original car. Between 1975 and 1991 (when the car was replaced by the XM), Citroen manufactured more than 1.2 million CX cars. Today, the Citroën CX lives on through events and meetings organised by many owners clubs around the world, including the Citroen owners club, and in France the CX Club de France and l’Amicale de France.